Recently, we discovered the #1 financial perk for military families: the VA Home Loan Guaranty, commonly known as the VA loan program. 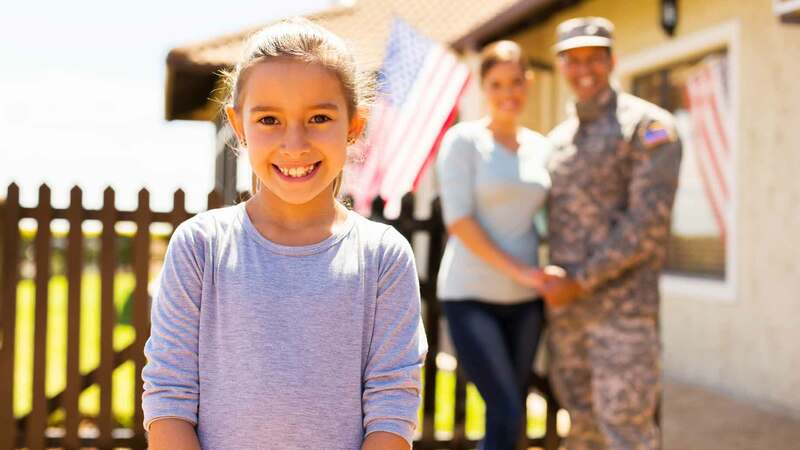 It is designed to make homeownership more affordable for current and honorably discharged members of the Armed Forces and certain other service organizations. 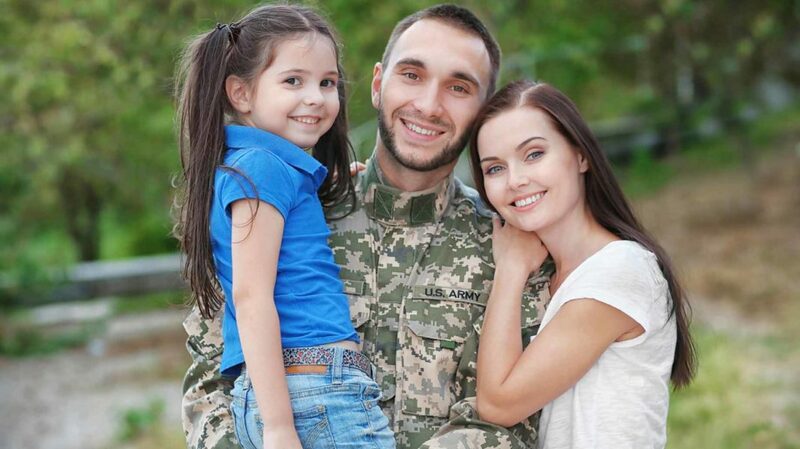 If you’ve joined the military and now want to buy a home, you can benefit substantially from a VA-backed loan. If you already have a VA-backed loan, you can still take advantage of some enticing offers. For example, if you live in a home purchased with a VA-backed loan, you can refinance your mortgage using a tool that’s available only to VA-eligible homeowners: the Interest Rate Reduction Refinance Loan (IRRRL), or VA streamline refinance. Depending on your situation, an IRRRL could reduce your lifetime interest charges by thousands of dollars. It’s also less stressful and lower cost than other refinancing options, including VA-backed cash-out refinancing. Here’s how to save big. What Is VA Streamline Refinance (IRRRL)? Many mortgage lenders offer VA streamline refinance loans, but some don’t. Rates, terms, and vary by lender, so shop around before making your choice. Potential for No Out-of-Pocket Costs. You’re allowed to roll all of the fees and costs associated with your IRRRL into the loan principal, with no out-of-pocket costs required. This is an incredible benefit for homeowners with limited cash flow or tight budgets. However, it does increase the loan principal, and therefore the monthly payment – usually by only a few dollars per month, but possibly more, depending on the loan’s term. No Credit Check Required. The VA doesn’t require credit checks for VA streamline refinance candidates. However, some lenders do, so be sure to ask during your initial consultation. No Appraisal Required. The VA does not require appraisals for VA streamline refinance loans. Again, some lenders do, and many pass the cost (typically $300 to $500) along to homeowners. If possible, shop around for a lender that doesn’t require an appraisal. Can Reduce Loan Term. Some lenders offer IRRRLs that reduce the original loan’s term – most commonly, from a 30-year fixed-rate term to a 15-year fixed-rate term. If you’re looking to pay off your home faster and save thousands on interest, this is a great benefit. However, shortening your loan term inevitably results in a higher monthly payment, possibly beyond the limits of your household’s current cash flow. Can Be Used on an Assumed Mortgage. VA loans are assumable, meaning they’re transferable from one party (the seller) to another (the buyer) with minimal changes to rates and terms. If you’ve assumed an existing VA-backed mortgage, you can subsequently refinance it with an IRRRL. Opportunity to Finance Energy Efficient Home Improvements. Though IRRRLs don’t allow you to borrow against your home equity, there’s one important exception: you can borrow up to $6,000 (more under certain limited circumstances) to finance energy efficient home improvements that reduce your utility costs. Since there are many state and federal energy efficiency tax credits available for such improvements, your total savings from this benefit could be even greater than your utility savings. No Cash-Out Capabilities. This is one of the biggest drawbacks of an IRRRL, and a key point of distinction between IRRRLs and VA-backed cash-out refinance loans. Unlike cash-out refinance loans, IRRRL loans cannot be used to extract cash value from the property, except as necessary to finance energy efficient home improvements within the legal limits. If you wish to borrow against the value of your home to fund big-ticket home improvement projects, such as remodeling your kitchen or adding a bonus room above your garage, you need a cash-out refinance loan. Original Loan Must Be VA-Backed. The refinanced loan must be backed by the VA Home Loan Guaranty program. You can’t use a VA streamline refinance loan to get a lower interest rate or more favorable terms on a non-VA loan. Original Loan Must Be Current. The refinanced loan must be current and have no more than one late payment within the past 12 months. Home Must Be Previously Occupied. To obtain a VA streamline refinance loan, you must certify that you previously occupied the home. This is more lenient than the occupancy requirement for other types of VA loans, which compels you to swear that you intend to occupy (for a purchase or new construction loan) or currently occupy (for a cash-out refinance) the home. It’s not uncommon for homeowners to move out of their homes after refinancing with an IRRRL, purchasing a new home (or moving into a previous second home), and keeping the refinanced property for rental income. Interest Rate Usually Can’t Increase. 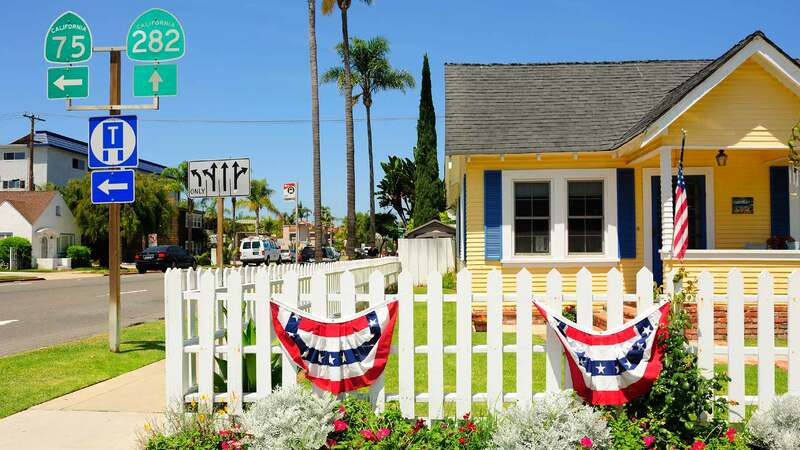 Your VA streamline refinance loan usually can’t result in a higher interest rate. The major exception to this rule involves refinancing from an ARM to a fixed-rate mortgage: if the refinancing occurs before the ARM’s rate has adjusted upward, the new fixed-rate loan is likely to have a higher baseline rate. Proceeds Can’t Be Used to Pay Any Other Loan. You can’t use your IRRRL’s proceeds to pay off any loan other than the property’s original mortgage. This includes second mortgages that are subordinate to the original mortgage. The most important and unusual fee associated with VA streamline refinance is the VA funding fee. Most VA Home Loan Guaranty program loans carry a funding fee, which can hit 3% of the loan principal for certain loan types. However, the funding fee is set at 0.50% of the loan principal for most borrowers and 0.00% for borrowers with permanent, total service-connected disabilities as per the VA Schedule for Rating Disabilities. Like all mortgage loans, VA streamline refinance loans carry additional closing costs. These tend to be lower than costs associated with cash-out refinance loans or purchase loans because VA streamline refinance loans are easier for lenders to originate and because VA streamline refinance fees are restricted by law. Remember, you can roll all these costs into your loan, so you might not be required to pay anything upfront. Prepaid Property Taxes. This typically covers the most proximate property tax payment. Depending on your home’s value and your local property tax rates, it can range anywhere from a couple hundred to several thousand dollars. Prepaid Hazard Insurance. This covers your homeowner’s insurance premiums for the year in which the refinance takes place. It’s often paid outside closing and may not be applicable if your hazard insurance policy is already paid. Title Search. A title search examines your property’s chain of title and ownership, ensuring that no liens or covenants exist (and that you hold clean title to the property). Title searches typically cost less than $400. Title Insurance. Title insurance protects your interest in the property and covers the costs of fixing any defects discovered in the initial title search. Costs can vary substantially by jurisdiction and complexity, but $1,000 is a fair benchmark. The good news for buyers in pricey markets is that the underlying cost of the property has limited impact on title insurance costs. Recording. The cost of recording the transaction with the appropriate jurisdiction, usually the city or county in which the property is located. It’s usually around $100 to $200, but every jurisdiction has a different rate. Flood Determinations and Environmental Assessments. A flood determination places the property on current flood maps and certifies whether flood insurance is required. In certain cases, ongoing flood monitoring is necessary. In some areas, other environmental assessments and certifications are needed – for instance, placement within fire hazard zones in California. Expect to pay about $20 for a flood determination and more if additional assessments or ongoing monitoring are required. Origination Fee. This is one of the larger closing costs associated with VA streamline refinance loans. It’s also fairly vague. Lenders often fold miscellaneous closing costs, including escrow charges and document fees, into the origination fee, so it’s important to ask what exactly is included. By law, VA streamline refinance origination charges are limited to 1% of the loan amount. Every lender is different, and this is not meant to be an exhaustive list of closing costs associated with IRRRLs. Before choosing a VA streamline refinance partner, shop around to get a sense of the rates, terms, and fees charged in your area. Armed Forces Personnel. All current and honorably discharged Armed Forces personnel who served after September 2, 1980, are eligible for VA-backed loans after giving at least 24 consecutive months of service. Additionally, those called to active duty at least once during their careers are eligible after serving between 90 and 181 days on active duty, depending on their tour dates. Prior to September 8, 1980, honorably discharged Armed Forces personnel who served in certain formal overseas campaigns (including the Vietnam War and Korean War) are eligible after serving between 90 and 181 consecutive days on active duty. Current Armed Forces personnel are eligible after serving 90 consecutive days on active duty. National Guard and Special Reserve Personnel. Honorably discharged National Guard and Special Reserve personnel (reservists) who served after August 2, 1990, are eligible after logging at least 90 consecutive days of active duty. National Guard and Special Reserve personnel who don’t meet these criteria are still eligible after recording at least six consecutive years of service. Surviving Spouses. Deceased service members’ surviving spouses are eligible for VA-backed loans under certain conditions. Eligible surviving spouse classes include unremarried spouses whose partners died while in service (not necessarily in combat); unremarried spouses whose spouses died from service-connected disabilities such as severe burns; remarried surviving spouses who are at least 57 years old and who remarried after December 16, 2003; and surviving spouses of 100% disabled veterans who are deceased, but whose deaths do not necessarily result from their disabilities. Naturalized U.S. Citizen Veterans of Allied Campaign. Veterans who served in U.S.-allied militaries (such as Canada or the U.K.) during World War II and subsequently became naturalized U.S. citizens are VA-eligible. Members of Military-Aligned Organizations. This miscellaneous group includes former cadets at the U.S. Military Academy, Air Force Academy, or Coast Guard Academy; current or former public health service officers; former midshipmen at the U.S. Naval Academy; and current or former officers at the National Oceanic & Atmospheric Administration. Complete eligibility information is available at the VA’s eligibility table. Because you can only use an IRRRL on a home purchased with a VA loan, qualifying for an IRRRL is easier than qualifying for a VA-backed purchase or cash-out refinance loan. Instead of applying for a new Certificate of Eligibility (CoE) proving your eligibility for the VA loan program, you can simply reuse your existing CoE (also described as using your existing VA loan “entitlement”). Some current and former service members use their initial VA entitlements to secure adjustable-rate mortgages with very low starting interest rates, and then use a VA streamline refinance loan to secure a fixed-rate mortgage before their ARM’s rate adjusts upward. This can save many thousands of dollars over the life of a loan, so it’s worth crunching the numbers to determine whether it makes sense in your situation. Armed Forces Veterans. You must provide Department of Defense Form 214 (DD214). The most important sections to complete are Items 24 and 28, which explain the nature of your separation and the character of your service. Active Duty Service Members. You must provide a signed statement of service from your commanding officer or relevant personnel officer outlining your service entry date and lost service time (if any). Current or Former Reservists and National Guard Members With Active Duty Experience. You must provide DD214, including the nature of your separation and character of service. Current Reservists and National Guard Members Without Active Duty Experience. You must submit a signed statement of service from your commanding officer or relevant personnel officer. Discharged Reservists Without Active Duty Experience. You must provide a copy of your most recent retirement points statement and acceptable evidence of honorable service, which can vary by case. Discharged National Guard Members Without Active Duty Experience. You must provide separate service records and separation reports for each service stint. Alternatively, you can provide a retirement points accounting statement along with acceptable evidence of honorable service. Surviving Spouse Receiving Dependency & Indemnity Compensation (DIC) Benefits. You must subimt the veteran’s DD214 and complete VA Form 26-1817. Surviving Spouse Not Receiving DIC Benefits. You must provide the veteran’s DD214, VA Form 21-534, the veteran’s death certificate or Department of Defense casualty report (DD1300), and your marriage license to your local VA Compensation and Pension office. Even small changes in your mortgage’s interest rate can have an outsized impact on your home’s cost of ownership. On a $200,000 mortgage with a 30-year fixed term, shaving the rate from 6% to 5% saves more than $45,000 over the life of the loan. On larger mortgages with higher interest rates and steeper rate reductions, the potential savings is far greater. VA streamline refinance loans are designed to simplify the process of reducing VA-backed mortgage loans’ lifetime costs. If your primary motivation for refinancing your current VA loan is to reduce its total cost (as opposed to borrowing against the equity in your home to finance home improvement projects), then using a VA streamline refinance is a no-brainer. You could save thousands – and enjoy your home for years to come. For answers to the rest of your mortgage questions, check out our other real estate guides. Do you qualify for VA loans? Are you planning to refinance with an IRRRL anytime soon?